Glowing skin is one of those beauty trends I’ve never really considered. Much of the time I’ve spent on my skin has been more about hiding flaws and managing the breakouts that caused them. But while glass skin is likely NEVER. GONNA. HAPPEN for me, lately I’ve paid more attention to what I eat (dairy is the worst for your skin), upped my water intake (three litres is the goal each day) and switched up my skincare. Before I embarked on the journey to more radiant, ideally makeup-free skin, I studied just about ALL of @thisthatbeauty’s Instagram Stories. Trust me, her stories should be pay per view, they’re THAT good. A key thing I picked up from Felicia’s advice is that you can’t focus on glowing skin until you’ve got your other issues sorted, or at the very least manageable. For me, my skin is often prone to acne, and is also dry on my cheeks and nose come the winter months, so I was definitely nervous as to how adding new products might affect my skin. Before I get started, I also want to address the issue of radiant skin versus skin lightening. 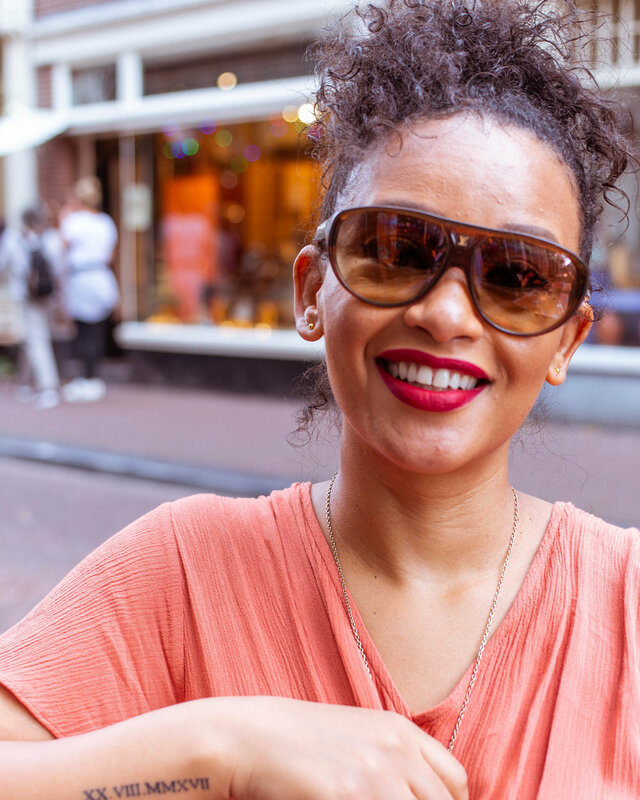 Skin lightening is a huge issue/trend in some parts of the world such as Asia and South Africa – and of course Blac Chyna is currently promoting skin ‘whitening’ in Nigeria. This blog is about making my own (already annoyingly pale) skin glow. I’m not trying to make my skin lighter. Also - this is the first time I’ve ever posted photographs with zero makeup and zero retouching. 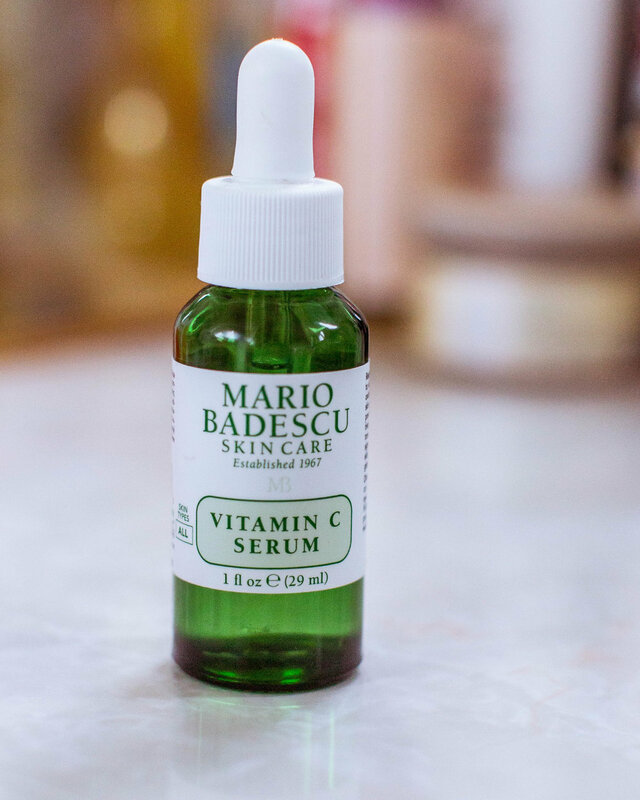 I was actually using this amazing serum a month or so before before I started to focus on glowing skin. For me, this is a real skin hero, and I think just about anyone can benefit from a boost of Vitamin C. I use this every other night most weeks, so I’ll either apply after using the Dennis Gross Daily Peel, or after I’ve used a mask, or layer it with a Hyaluronic Acid product, such as Glow Recipe’s Watermelon Glow Pink Juice Moisturiser (although the serum itself also contains Hyaluronic Acid). Vitamin C is your best friend when it comes to protecting skin from free radicals and is essential in Collagen production – that thing that keeps skin looking bouncy and elastic. Again this product is about brightening skin and reducing discolouration. It’s not cheap – the bottle’s tiny at just 29ml – but a little goes a long way, unless you’re greedy, like me. This has been great in smoothing amount the texture in my skin, especially along the jaw line. I had to throw a mask in there – but, remember, I was pushing for results, and not everything I’ve mentioned will work for you in the same way. I’ve only used this twice but it absolutely ups the glow-factor. Containing Glycolic Acid, this is all about serious exfoliation, and getting rid of dead skin cells. As with most of the products mentioned here, I wouldn’t be rushing outside after application as your skin will be sun sensitive. However, I do want to try this on a night out, so next time, after application, I’d probably put on another mask that’s aimed at soothing and calming the skin, before applying makeup. I’d been in the market for a new moisturiser that also had a hefty dose of SPF in it, and I doubt I’ll be ditching this one anytime soon. This product has answered multiple prayers for me; it’s super light; it contains a solid SPF30; it’s perfect for oily/combination skin and it hydrates without adding shine. 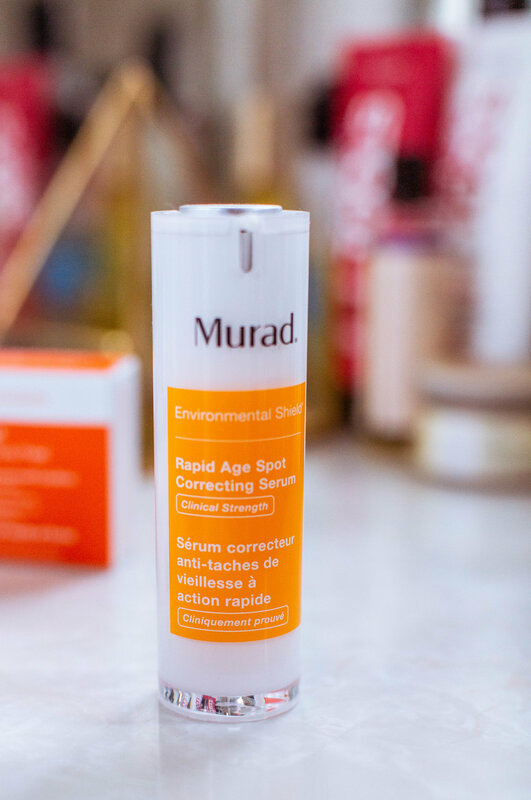 The reason I’ve included it in this glowing skin blog is because, with all of the acid activity on my skin, I really needed to make sure I was wearing SPF every day. I do anyway, but it’s usually something that’s separate to my moisturiser. Because I’ve added a few more steps into my daily routine, I knew if I found a moisturiser that contained a decent SPF, I could keep the steps to a minimum. Glowing skin goals aside, I think this is a fab moisturiser for anyone with acne or blemish-prone skin. While I’m going through this glowing skin journey, I try and balance out these acid-based products with nourishing oils. This time of year often leaves skin feeling drier, so adding in all these new products can definitely push skin to the limit. I’d say a softly, softly approach can’t hurt, and remember to pamper your skin with soothing masks a couple of times a week. What’s your fave skin brightening product? Or do you have other issues you’d like me to address on the blog? Let me know in the comments!